South America is a destination full of amazing travel hot-spots. One country is making a name for itself when it comes to fantastic vacation locations. Uruguay is tucked into the southeastern section of South America next to Argentina and Brazil. Home to 3.3 million people, this small country is big on personality. Head to the well known and sultry towns of Punta del Este and Jose Ignacio that have quickly become favorite tourist spots. However, if you are looking to explore an area that promises to present both extravagance and tradition, look no further than Colonia del Sacramento. This World Heritage site is fast becoming a beloved locale. Colonia del Sacramento and the surrounding areas are where you can find cobblestone streets and historical buildings that give the entire expanse a charming feel. Along with the landmarks are also some impressive and elegant shops, restaurants and hotels. These amenities provide guests luxury alongside history. Shop at the posh boutiques that sell handmade local goods or dine at one of the European-style restaurants for an unforgettable experience. Just an hour away via ferry, tourists can head to Buenos Aires for a day excursion to experience a vibrant city but still be able to head back to Uruguay for the evening. During your stay here, Colonia del Sacramento is sure to capture your attention and most likely your heart. 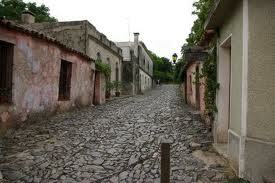 Finding a wonderful hotel in the Colonia del Sacramento area is essential to make sure you trip is remarkable. WhatAHotel! is a preferred partner with Four Seasons Resorts and Hotels and in Carmelo, situated near the heart of the Colonia del Sacramento region, Four Seasons Resort Carmelo can be found. 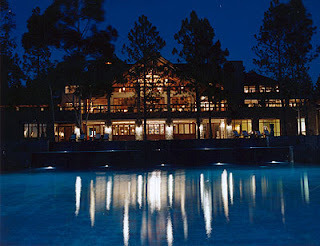 Calling the shores of Uruguay's Rio de la Plata home, this resort is lovely. Here you can take in beautifully landscaped grounds, views of rolling plains, sprouting vineyards and many pine and eucalyptus trees. Every corner of this elegant hotel displays comfortable furnishings and designer decor. Choose a bungalow or a bi-level suite and start your wonderful vacation. No luxury here has been overlooked. The spa includes regional grapes and wines in many of their treatment techniques and both the indoor and outdoor pools promise a refreshing experience. Dine in style at the resort restaurants. Pura offers authentic cuisine along with Moroccan-styled tapas while Mandara Restaurant and Bar emanates a more intimate atmosphere. Also provided at the resort is golf, tennis and a modern fitness facility. Four Seasons guarantees your stay will be unbelievable and that your service will be impeccable. Book your suite with WhatAHotel! and receive exclusive and complimentary perks that other online companies can not offer. 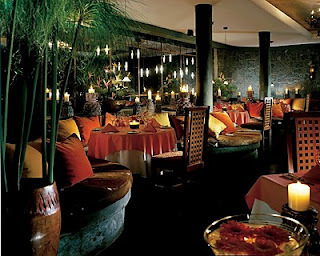 Find peace, serenity and opulence at Four Seasons Resort Carmelo. Uruguay is ready to welcome visitors to its borders. Head here and encounter almost perfect weather, friendly locals and a beautiful landscape. Four Seasons will only add to your experience by ensuring your stay and your environment are as incredible as Uruguay itself. Come to South America and discover the splendor of this small but marvelous country.